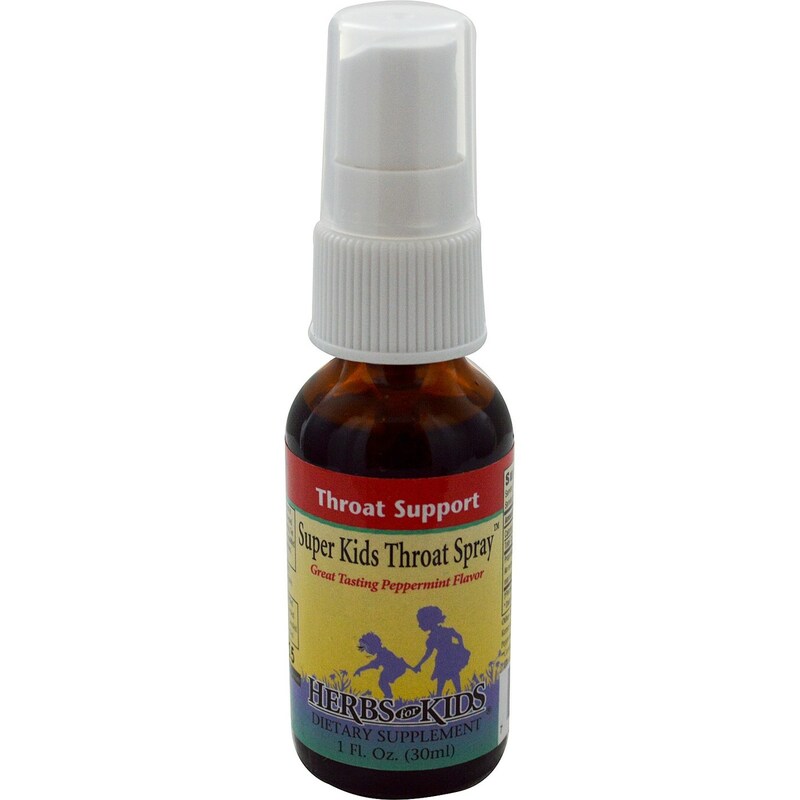 Herbs for Kids makes it easy to apply Super Kids Throat Spray with a convenient spray top. 警告: Shake well. Do not spray near eyes. Not suggested for use during pregnancy. See your holistic practitioner if your child is ill.
注意事项: Alcohol free. 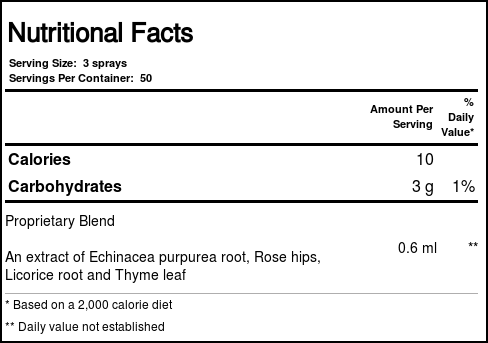 Certified organically grown or ethically wild harvested. 推荐用法: Position mister close to mouth. 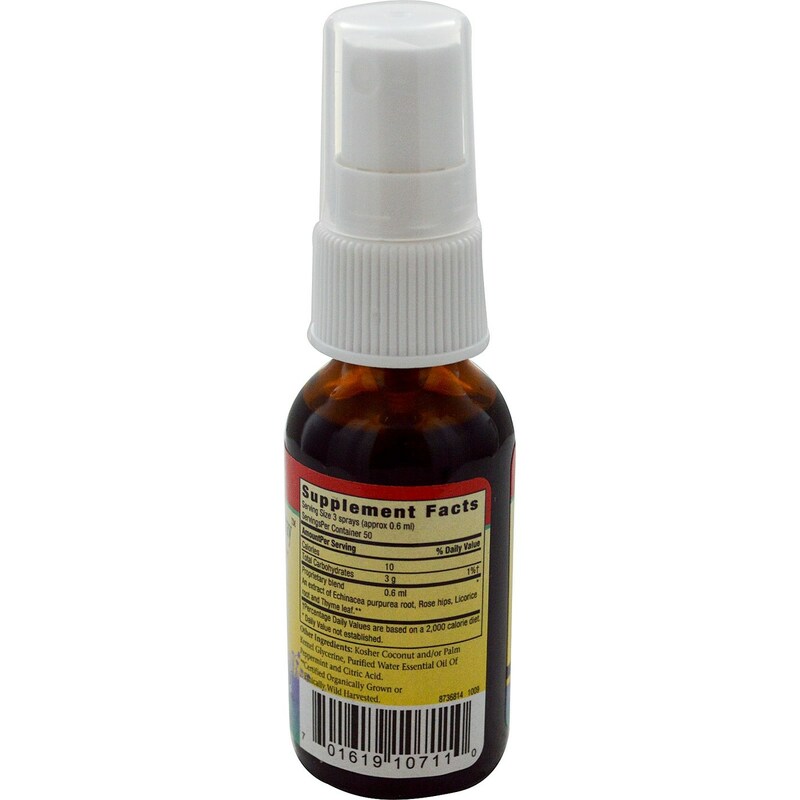 Spray onto back of throat. Formulated for children over one year of age. 1-3 years: 1 spray, repeat as needed, 4-8 years: 2 sprays, repeat as needed, 9-11 yeas: 2-3 sprays, repeat as needed, 12 years to adults; 3 sprays, repeat as needed. Super Kids Throat Spray, Peppermint is great and works fast on itchy, dry, throats that are irritated. As soon as I use it, I have relief for a few hours. Great for night time to stop itchy throat from dry weather (which helps you stop coughing). My two kids (2 & 4) love it too!